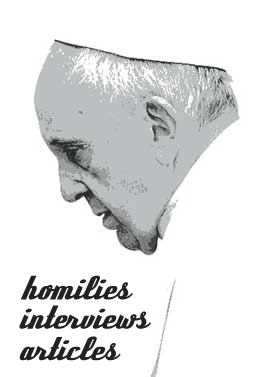 Antonio Tonin, East London – It is with some sadness that I read in JH Goossens’ letter that he finds Pope Francis’ exhortation Amoris Laetitia in contradiction of the Church’s teaching. First, I would like to correct a small error, in that Pope Francis did not have to interpret Amoris Laetitia; he actually wrote it. I agree entirely with Archbishop Stephen Brislin that the pope is indeed the Church’s unifying aspect. Central to the pope’s philosophy is the Christ-like understanding of mercy. It is this that is causing those without meditating on the full meaning of mercy such distress. As practised by Jesus Christ, mercy is when Christ said to the adulteress, about to be stoned by her accusers, all insisting on the authority of the law: “Rise up and sin no more.” This was preceded by his injunction that he who had no sin was to throw the first stone — and they all walked away. The pope’s message in everything he says is about mercy and understanding, including his encyclical Laudato Si’. I also remember clearly his stating, when Amoris Laetitia was first published, that he wasn’t changing Church teachings on marriage, but was exhorting all clergy not to summarily judge remarried couples, but rather understand their predicament, and help them to deeply understand what they are doing. That’s the meaning of mercy. It is still leaving the full responsibility with the couple. They entered the spiritual contract voluntarily with God, and they, in their conscience, with the spiritual help of the clergy, must ask for God’s wisdom and mercy in coming to a decision. Previous story If the Shoe Fits…Get Funding and Donate It!